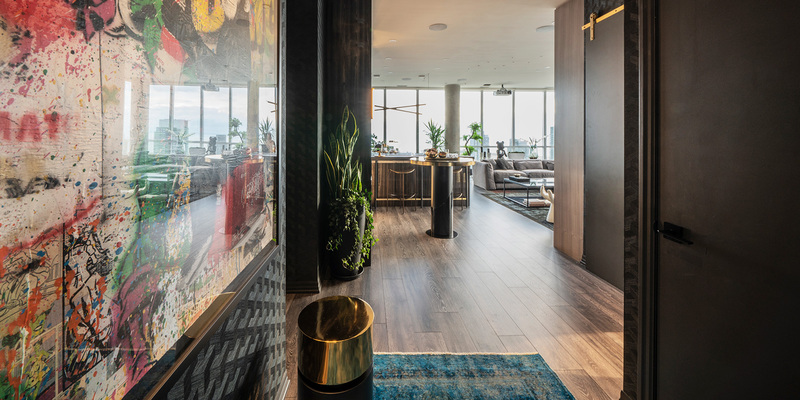 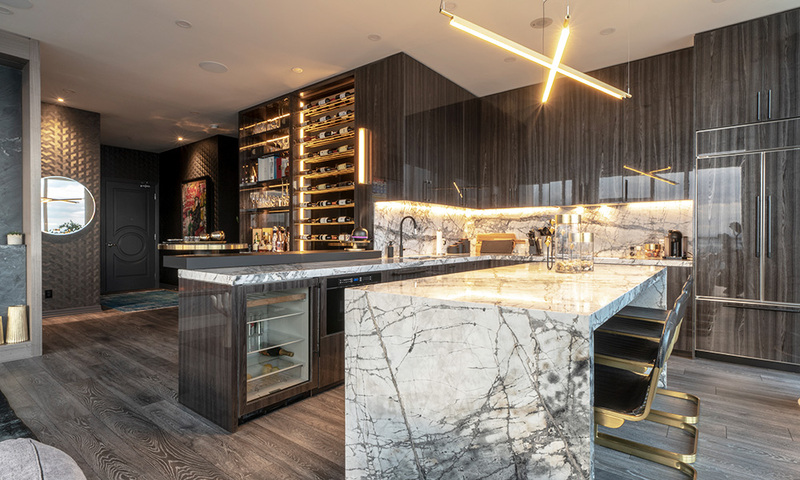 This 2,500 square-foot private penthouse was transformed into one of the most luxurious bachelor pads in the city, with a slick black interior, sweeping 180 degree views of Toronto’s skyline, and original artworks prominently displayed throughout the home. 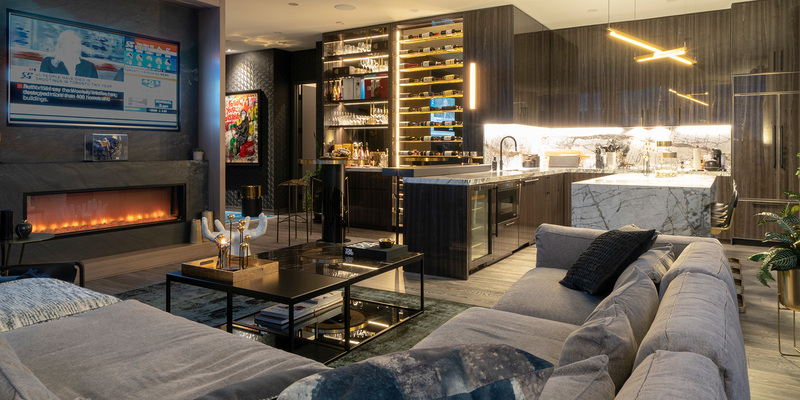 A slate-cladded fireplace and bookcase anchor the main living space, along with a retractable projector screen and built-in surround speakers. 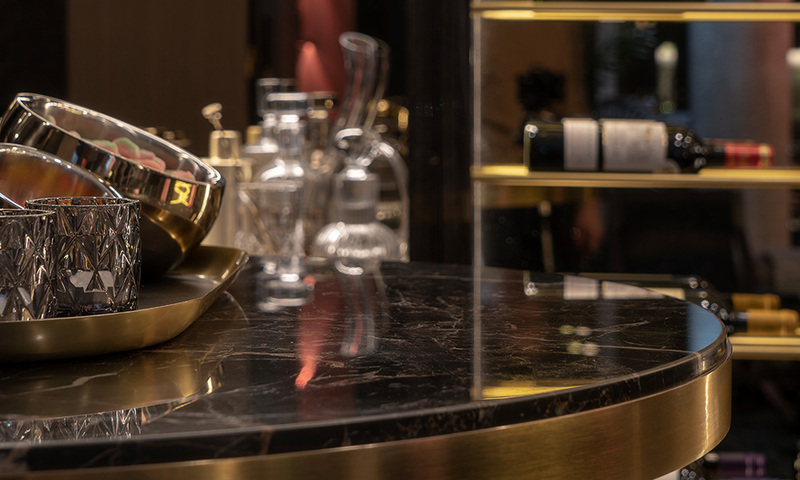 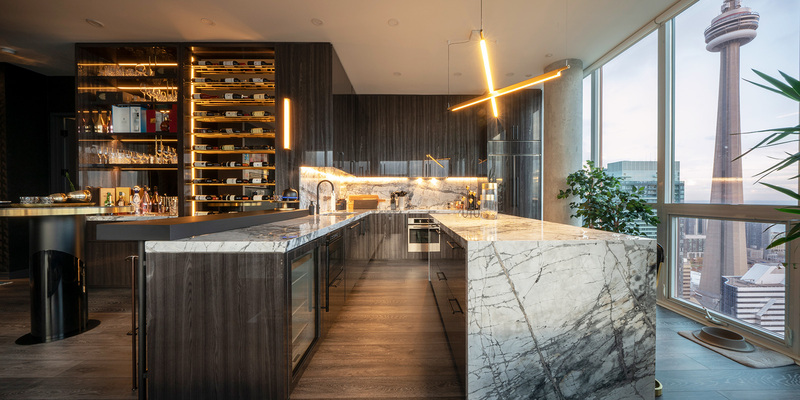 A backlit custom wine and liquor library lined with bronze mirrors and metal accents establishes a sense of sophistication while nearby, the fully customized kitchen is centered around a stunning bookmatch marble island. 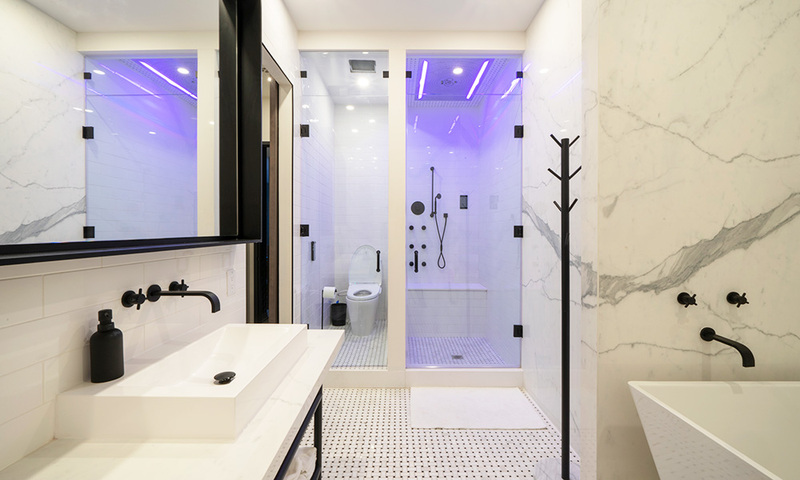 The master ensuite boasts a full-height marble wall, black fixtures, and a colour-changing shower & steam room. 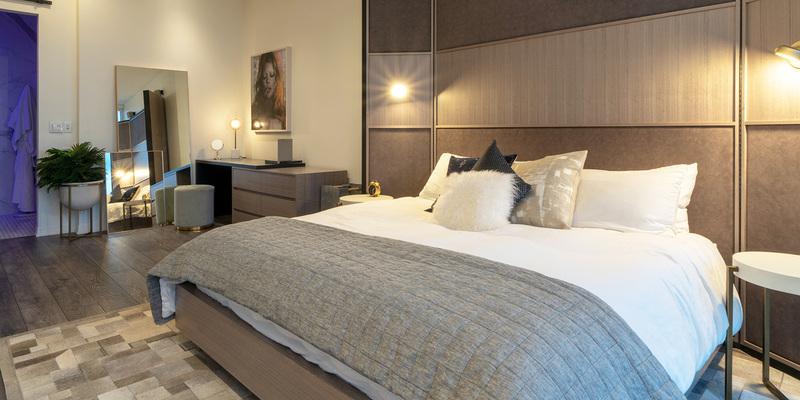 The bedroom features a custom headboard commissioned by Navigate, and a collection of thoughtfully curated furniture and stylings to complete the aesthetic.